You have selected the Xtreme 30 Platinum (Client location) membership level. The price for membership is $880.00 now. Membership expires after 7 Weeks. 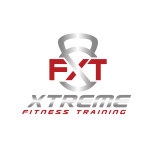 Signup and receive Xtreme Deals and Promotions!